We all want to attract and hold game on our property, but that’s often easier said than done. Whitetail management can be an overwhelming project to take on, but if you start with the basics you can really accomplish a lot with a little. 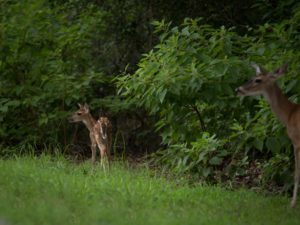 This is the first of four articles that will go in depth on how to practically manage your property to attract and hold white-tailed deer. Keep in mind that these practices can be accomplished in any region of the south or mid-west and can coincide with the management of various types of livestock. No matter where you own property, whitetail management has the same basic elements, food, water, and cover. I’ve learned a lot over the years, but the Quality Deer Management Association sums it up the best. They have a framework of management that is not only easy to follow and learn from but it’s fairly straightforward in implementing as well. They break it down into four parts (4-cornerstones); habitat management, herd management, hunter management and herd monitoring. Over the course of these articles, we will highlight the key aspects of each cornerstone. Be sure and click on the links to learn more about each one. Timber stand improvement (TSI) is one of the most important management techniques in holding deer on your property. 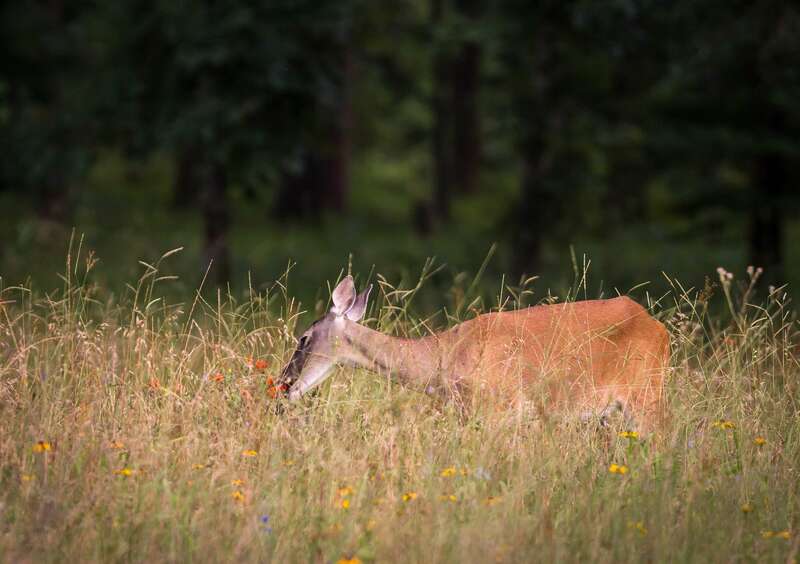 Having adequate bedding cover and the ability to give the deer a sanctuary is pivotal to ensuring they don’t leave your property to find it elsewhere. Managing your timber stand will also maximize the food tonnage your property can produce. Deer need cover and food all throughout the year to survive; so managing your timber effectively will cover most of those needs. Sound timber management can also increase your property’s huntability and make it more profitable as an additional source of revenue. Try to provide a diversity of stand types whether its hardwood, pine, or open pasture. Just remember, when managing your timber stand its important to have a plan. The best way to approach this is to involve a professional to assess what you already have. Learn the market and have a forest service professional advise you on how and where to cut. Harvesting timber isn’t all that bad for wildlife; in fact, it could be your missing link. TSI isn’t just removing the less desirable trees, it’s managing them, and often, making them work for you. Creating bedding cover with your less desirable timber is often an overlooked tool. For example, if you have a stand of mixed hardwoods with sweet gum or black gum (tupelo) trees mixed in, they could be competing with your oaks for sunlight. Totally removing the gum trees would obviously help in acorn production, but take a step back and look at ways they could work for you. Half-cutting or hinge cutting here could get you the best of both worlds. Hinge cutting the black gums will open up the canopy for the oaks which will increase acorn production, but also double as bedding cover. Also, once the gums are cut, they will produce sprouts that will then provide additional forage within a white tail’s reach. 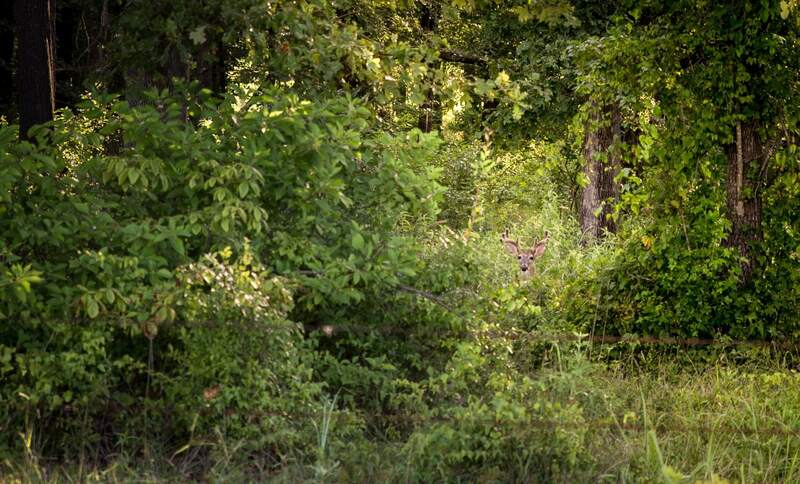 Managing your pastures and open areas can make a large impact on deer density as well. The majority of a deer’s diet, especially during the warmer months, is comprised of the successional vegetation that naturally occurs after the last frost. Plants such as ragweed, goldenrod, poison ivy, green briar, honeysuckle and various native legumes grow throughout Texas and Oklahoma; however, most uninformed land managers mow them down because they appear as weeds, especially in the summertime. Now if your property produces hay or some other type of crop, managing the field edges can also produce additional tons of needed forage for white-tails while providing them a little extra security when traveling fence/tree rows. Also, implementing a regiment of prescribed burns will help maximize the potential for both your timber and open areas. Again, remember to always consult with a professional before attempting a burn. If done correctly, prescribed burns can be the cheapest and most effective ways to manage your ranch. When planting food plots keep one thing in mind… variety. Mixing it up and rotating your plots are the keys to success here. Be sure and consult with your local Ag extension service or the NRCS to ensure soil quality/type before investing in seed and fertilizer. 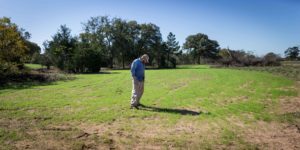 There is no magic recipe when it comes to food plots, it all depends on soil types, and what your land is able to produce. Many types of plots such as Lablab, iron clay peas, and various clovers are highly adaptable and can be grown just about anywhere. However, like the previous whitetail management techniques we’ve discussed for land, stop and develop a plan before you plant. Personally, on our hunting property, we have discovered that the placement of the food plots was one of the most important factors. Once we established what worked in the different seasons we tweaked the placement of the plots to fit their purpose. Some of our plots served as strictly attracting and feeding the deer. They needed supplemental forage, especially in the dead of winter, and these plots served that purpose. The other plots served as attractor/hunting plots, and one in the interior of our place served as a sanctuary plot that was completely left alone. Over the years, most of these plots have been left fallow for a season or two, then re-established and planted again. Our goal now is to be more consistent with the rotation and implementing more clover across the property to replenish the nitrogen levels in the soil. It took several years but we finally dialed in a program that works. 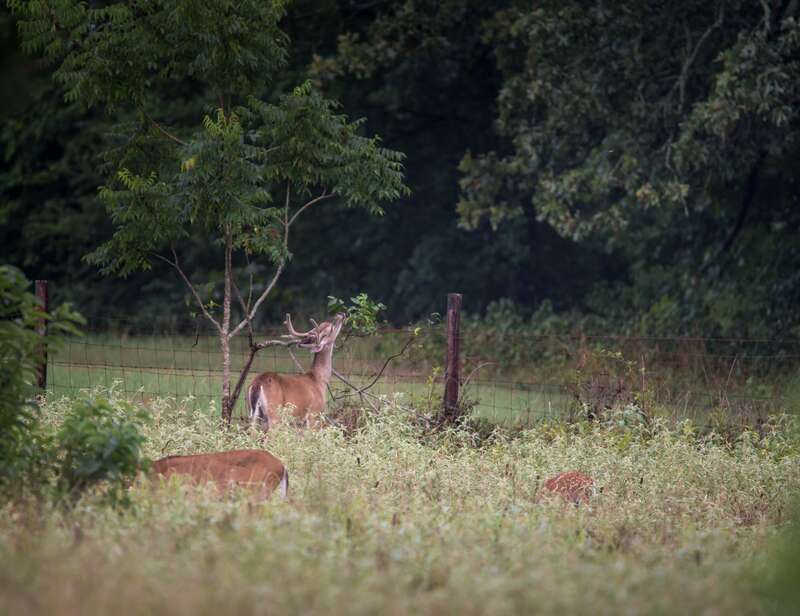 Implementing these whitetail management practices can not only improve your property and its ability to attract and hold deer, but it can greatly increase the value of your property. Land that is intensively managed can bring a far greater dollar per acre value than land that is left completely unmanaged. It’s all a work in progress so have fun with it. Teach your kids or grandkids how to manage the land and they’ll have a far greater appreciation for it, and for the deer they take this fall. Stephen Schwartz is a Texas licensed farm and ranch real estate agent with Hortenstine Ranch Company and a graduate of Texas A&M with a BS in Agricultural Engineering. Mr. Schwartz has also earned a Level 2 Deer Steward QDMA from Clemson University.